Arkady and Boris Strugatsky are the most famous and popular Russian writers of science fiction, and the authors of over 25 novels and novellas. Their books have been widely translated and have been made into a number of films. 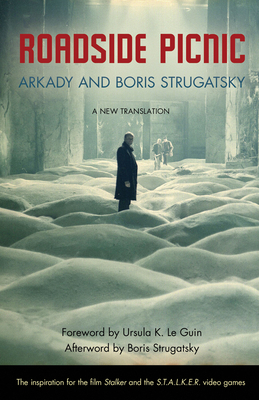 Arkady Strugatsky died in 1991. Boris Strugatsky died in November 2012. Ursula K. Le Guin is the author of A Wizard of Earthsea, The Left Hand of Darkness, and other science-fiction classics.